Formed in 2001 as Protx but acquired by Sage, a global finance brand, in 2006. SagePay is one of the most trusted on-line payment providers in the world and of course is a division of Sage as in the famous accounting software. SagePay is PCI compliant which is the Payment Card Industry Data Security Standard (PCI DSS). It is a set of legal requirements designed to ensure that ALL companies that process, store or transmit credit card information maintain a secure environment. Working with financially secure retailers and etailers of all size and shapes the company has over 50, 000 company clients where it provides on-line payment functionality and has processed millions of transactions. When you see the Sage brand you know you are dealing with a global business based in the UK. Unusually for on-line providers SagePay has a 24/7 helpline, manned by human beings, who can deal with any enquiry and the company ensures safe transactions and never sells your details to any third parties. 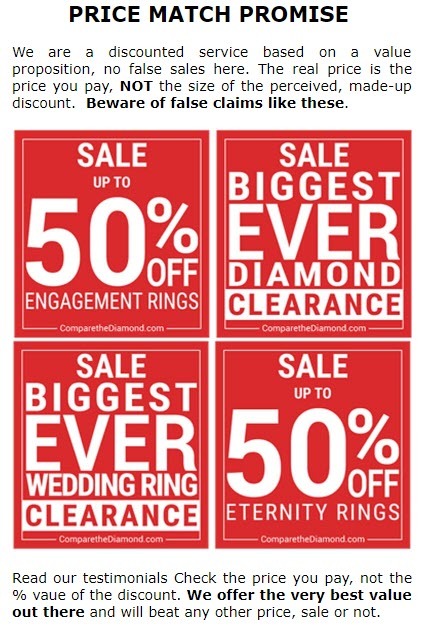 At ComparetheDiamond.com (formerly diamondgeezer.com) we think that your identity and on-line security is hugely important as well as the guarantee that you have trust in the payment process.